Bob Saucy, you changed my ministerial trajectory—and the quality of my life as a pastor—forever. Thank you! “Bob Saucy was a great teacher, colleague, and friend. He greatly influenced my own theology and path in life. Having studied under him at Talbot, I have known him for many years. He was a tremendous man of God and truly a ‘Distinguished Professor.’ He will be sorely missed at Talbot by students, alumni, staff, and faculty. His loss is a type of irreplaceable one—both in terms of scholarship and, more importantly, friendship—as Bob made time in little ways for even relatively newer colleagues like me in ways that were often unknown and understated. "Proverbs 3:32 tells us that the upright are 'in the Lord's confidence.' And whenever I talked with Bob, I knew I was having a conversation with a wise man whom the Lord had taken into His confidence. I will miss Bob and his kindness; I will miss his understanding and his vast knowledge of the ways of the Lord. Bob was such a generous soul." There have been dark times, and very bright times at Talbot, but from my perspective, it is Bob Saucy, standing firm in his unwavering commitment to Scripture and to His Lord Jesus Christ, who has been a towering symbol of strength, integrity, kindness, and so much more to all of us as we have journeyed the difficult and the good times. We owe a huge debt to this humble, faithful, man of God, Bob Saucy." "I remember seeking Bob Saucy's advice while I was a pastor in the late 1970s. My church was making a switch from Deacons and Trustees to a governance model that had Elders and Deacons. As my church wrestled with this decision, Bob helped me think through some difficult decisions. Just eight years later, I found myself teaching at Talbot, and it was quite an honor to be on the same faculty as Dr. Bob. At Talbot he graciously welcomed me and provided encouragement, particularly for my writing. My heart and prayers are with his family. " "When I came to teach at Talbot 20 years ago, I decided to audit a course on pneumatology that Bob Saucy was teaching. This was to fill some gaps on the education I received in my masters training at another school. I thoroughly enjoyed the class, and was struck by Bob's ability to use questions to get his students to think issues through. To me, Bob will always be remembered as the great questioner, one seeking to learn, to understand, to discern, and to help his students do the same. When you couple that with his grace and humility, and his love for God, you have a powerful model for Christian scholarship. I hope to live up to his example." "Bob Saucy was one of the wisest, kindest, and widely respected professors that I shall ever know. His sharp, inquisitive mind was always one step ahead of his students (& his fellow professors! ), asking probing questions in his one-of-a-kind catechetical teaching style, guiding his students and friends to think clearly and biblically at all times. Yet Bob was a gracious, humble, and compassionate man who genuinely cared about others. He will be deeply missed, and our prayers go out for his wonderful family." That first encounter on faculty was the beginning of a delightful season of fellowship and service alongside this wonderful man. Some of the most precious memories I will carry involve the weekly faculty prayer meeting we both attended. Every week I heard this man's heart spill out to the Lord in gratitude, confession and petition. What a gift to the church and the world! What a lasting example of a mature man of faith, whose life fully demonstrated the fruit of the Spirit. I will sorely miss him, and look forward to being with him again in the presence of our beautiful Savior." 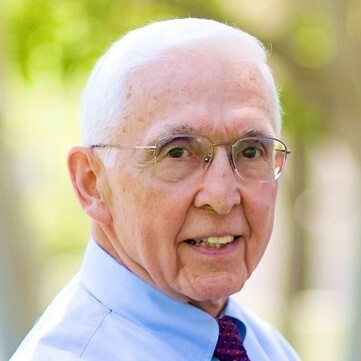 An article about the life and contributions of Dr. Robert L. Saucy can be found here. A recording of Dr. Saucy's memorial service can now be viewed online.